During the month of November 2018, Help-A-Heart put the spotlight on various ways people support and donate to our organization throughout the year. Obviously, attending one of our annual fundraisers–the Celebration of Life Dinner & Silent Auction in June & the Superhero Heart Run in October–are two big ways you can further our cause! We also receive several cash donations online through our website or mailed to us throughout the year. However, we are humbled & encouraged by the unique ways some of our heart families & their friends choose to support us & wanted to make sure they know how much we appreciate these special gestures. We failed to post a few of our 30 Days of Thanks in November so are finishing up with our final post today! Every year Scheel’s employees nominate worthy charities for their year-end donations. For the past 3 years, Scheel’s has chosen Help-A-Heart along with several other charities to bless with an unexpected year-end donation. In 2017, we received $3,000 and in 2018, Help-A-Heart was awarded $4,000. Thank you to Scheel’s and their community relations coordinator, Christy Christensen, for this generous support! 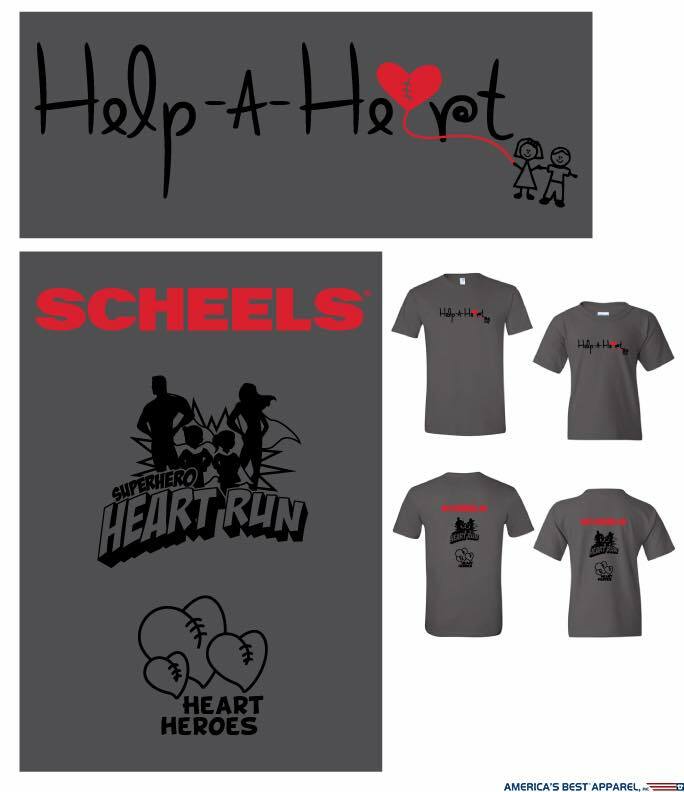 In addition to the year-end donation, Scheel’s has been a supporter of our annual Superhero Heart Run as well. In 2017, Scheel’s donated dri-fit T’s for all of our teams and individuals that raised $100 or more. It was a fun incentive for our fundraisers & all of our attendees loved them. 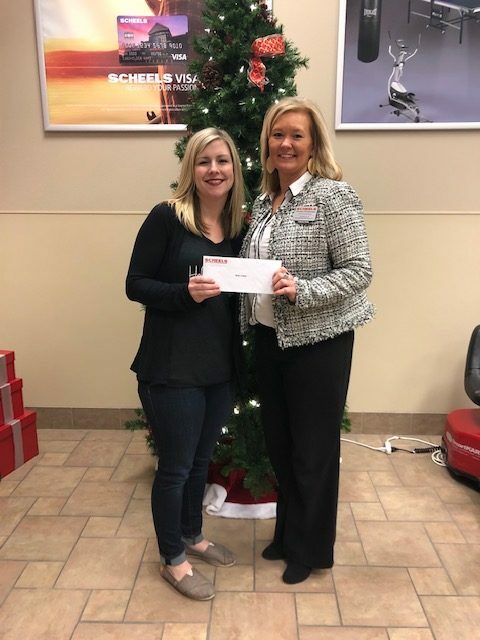 In 2018, Scheel’s supported the event with a cash sponsorship as well. 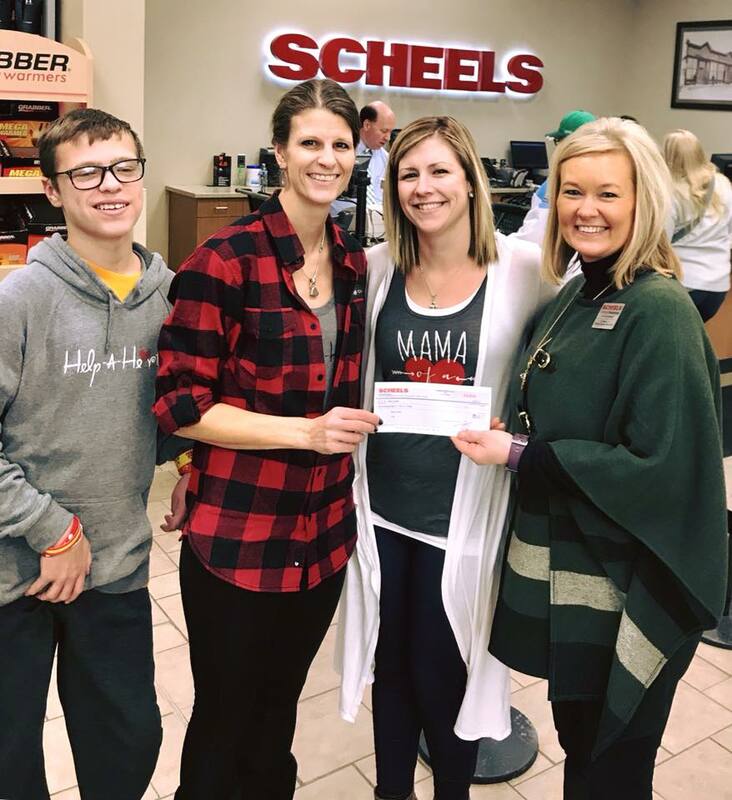 We are so grateful for the continued support of businesses like Scheel’s that want to help us further our mission of sharing love through emotional and financial support with Iowa families affected by congenital heart disease!